DJuno is a fresh Adobe Muse template, creative portfolio for DJ’s, producers, music bands. It’s simple and clean, cool lookin’ one page template with 4 color versions and desktop, tablet and mobile versions! 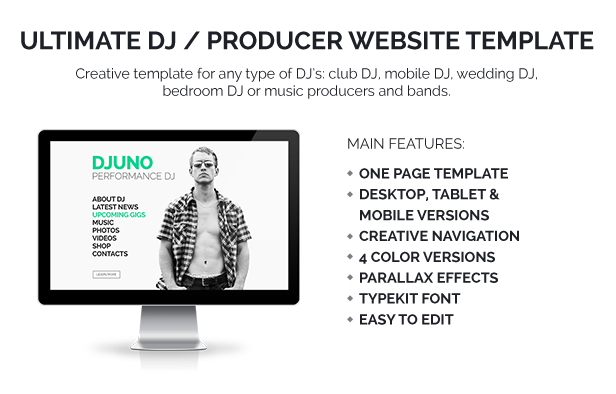 Item Reviewed: DJuno Ultimate DJ Producer Muse Template 9 out of 10 based on 10 ratings. 9 user reviews.